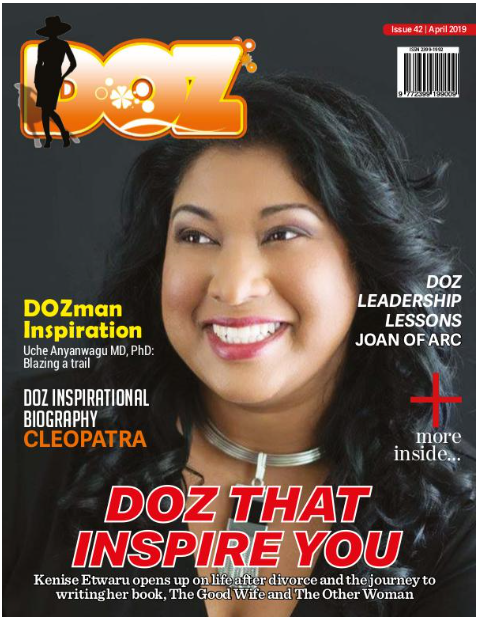 Meg Nocero is the guest in this episode of DOZ Show. She is an attorney, writer, speaker, and empowerment coach. Following in the footsteps of her grandfather, Congressman Alfred Santangelo, Meg served the United States as a federal attorney with the Department of Homeland Security for almost twenty years. In this role, she mentored hundreds of student interns in the field of immigration law. In 2017, she resigned and started a non-profit called S.H.I.N.E Networking Inc for the purpose of promoting the story sharing, community building, diversity, ideas, hope and networking. Her non-profit also provides educational scholarships to support young innovative leaders who are making a difference. Meg is a wife and mother and loves her children, and Shetland sheepdogs. Listen as Meg shares her journey of leaving her job after almost two decades and following her dreams, and be inspired to discover where you want to shine. Don’t miss the whole point of being here. Live the life you truly want. Meg shows us how. King Ashley Ann is the guest in this episode of DOZ Show. This phenomenal young woman is a talented and award-winning wedding and event designer and owner of Ashley Ann’s Events and several other businesses. She inspires creative detail, and modern, elegant atmospheres and has made a name for herself by offering beautiful, unique, professional designs and productions. She is currently one of the most sought-after designers in the South of America! With a B.A. in Finance and M.B.A, Ashley is an outstanding business woman and excels in social media lead generations, lead magnets, funnels, and return paths. She has helped over 1,250 clients of hers monetise their social media platforms and make millions of dollars. Listen as Ashley shares her story of building businesses that thrive and be inspired to scale your business. Kenise Etwaru is the guest in this episode of DOZ Show. She is a recording artist, songwriter, worship leader, motivational speaker, executive HR coach and author of the book, The Good Wife and The Other Woman. She is a multi-talented woman who desires to use all her talents and abilities to bring glory to God’s name. Kenise shares with us her joys and frustrations of being the daughter of two pastors, her divorce and how it changed her life forever, and the journey to writing her autobiography, The Good Wife and The Other Woman. Listen to Kenise and be inspired to find purpose in your pain. Linda Ijomah is the guest in this episode of DOZ Show. She is an architect, career/ business woman, wife and mother who brings passion and excellence to all that she does. She has been able to successfully juggle a very busy career and business life with an equally busy marriage and family life. As one who recently became a mother after many years of waiting, Linda shares with us the journey to motherhood even as she shares her journey to become an architect and what it is like being a female in a career dominated by men. Listen and be inspired to keep reaching for your dreams.